Department of Computer Engineering, Sharif University of Technology, Tehran, Iran. Abstract—Due to the rapid expansion of web applications, the information and services provided on the web have proliferated, leading to ever-increasing complexity. This has not only resulted in the utmost significance of information quality and accuracy on the web, but has also necessitated that access to information be improved. Hence, adaptive web systems have emerged, which focus on adapting web content, presentation, and navigation to meet the needs of the users according to their individual circumstances and preferences. In this field, focus has gradually shifted from creation of new adaptive techniques to solving the problems of analysis and design of adaptive applications; in other words, it has become important to handle the dynamism of the runtime environment and the complexity involved in developing these applications. Model-Driven Engineering (MDE) is considered a promising approach for overcoming these problems, mainly due to its modeling features: Models are created at different levels of abstraction (thus enhancing complexity management), and the process can potentially be automated through the use of transformation rules. We provide a review of several prominent methodologies that utilize MDE for developing adaptive web applications, and propose a criteria-based evaluation approach that highlights their strengths and weaknesses. Evaluation results can be used for comparing and selecting methodologies for use in web development projects; they can also be used for constructing a new methodology that exploits the strengths and addresses the shortcomings of existing methodologies. Index Terms—Adaptive web application, criteria-based evaluation, model-driven engineering, software development methodology. 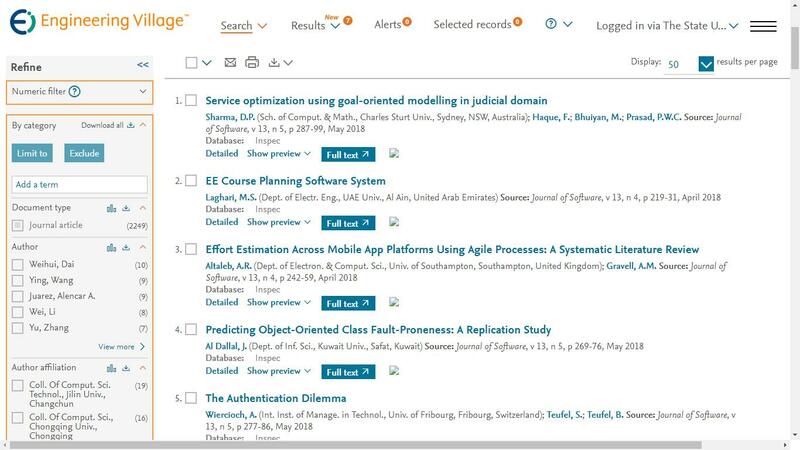 Cite: Mona Fadavi, Raman Ramsin, "Methodologies for Model-Driven Development of Adaptive Web Applications: An Analytical Survey," Journal of Software vol. 11, no. 1, pp. 94-109, 2016.